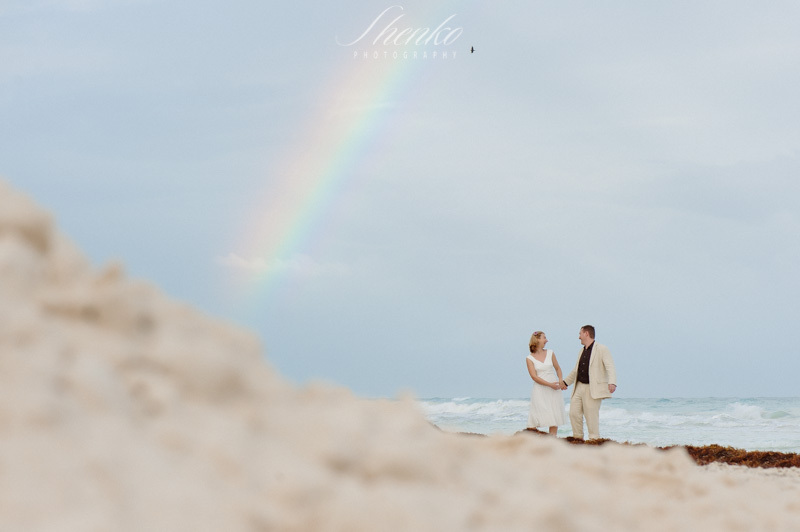 This romantic pre-wedding photo session at the beach was a surprise for Laura and Marc. 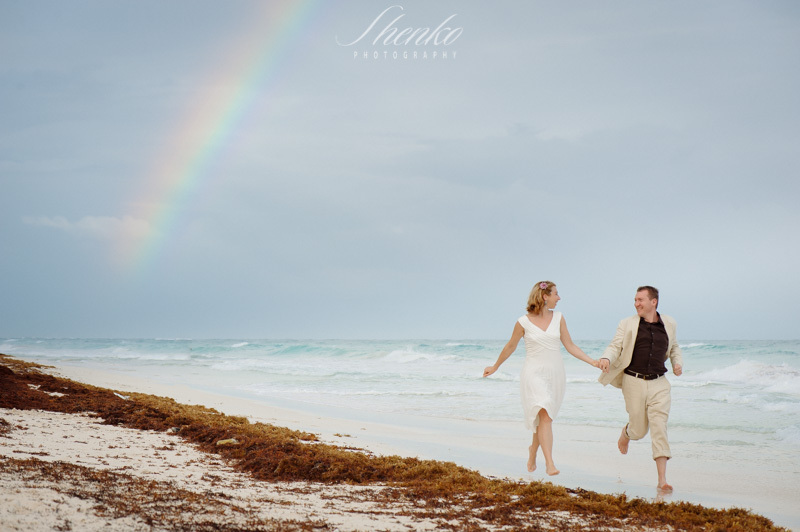 When they booked us as their wedding photographers at Tulum a year ago, we was not including a free pre-wedding photo session for our couples at that time yet. 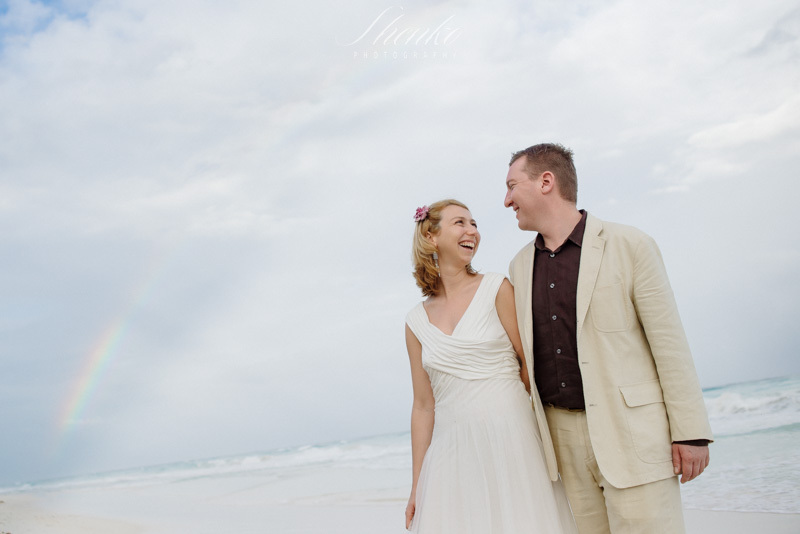 So once guys arrived at their beautiful villa Casa Carolina at Tulum, we announced them that we will be glad to offer them a small romantic photo session at Tulum beach right after our pre-wedding meeting. Everybody was really happy! The groom, because he found it great to meet the photographers before the wedding day and see us working. The bride, because she realized that she will get some more pictures of their couple just before the marriage. And of course us! 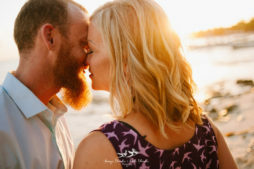 As we learned from our experience, to be well prepared for the wedding day there is nothing better then to see a couple acting in front of our camera some days before the wedding day. It was a great decision! That day we got to calm Laura and Marc’s fears about photos, hang out with them all the afternoon and we got a better idea of how these two interact. 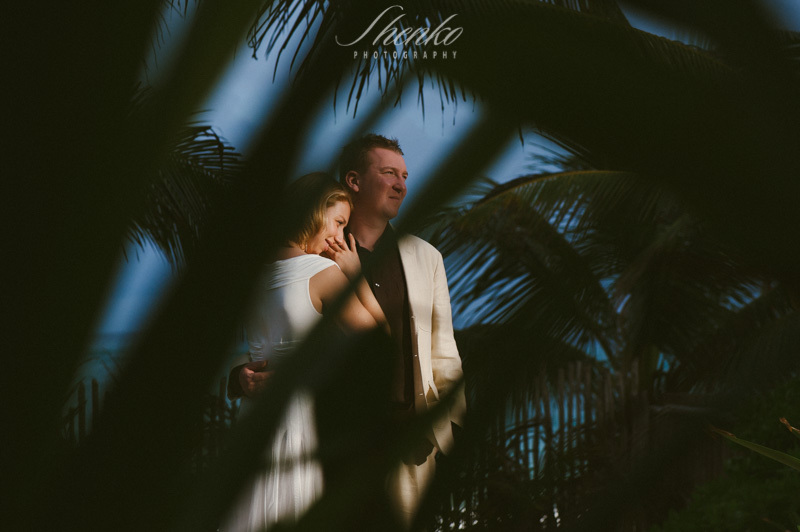 Marc and Laura is a very positive and free-spirited couple, they are very quite and a little shy but when they feel that they are alone they begin to make fun things and to laugh all the time. 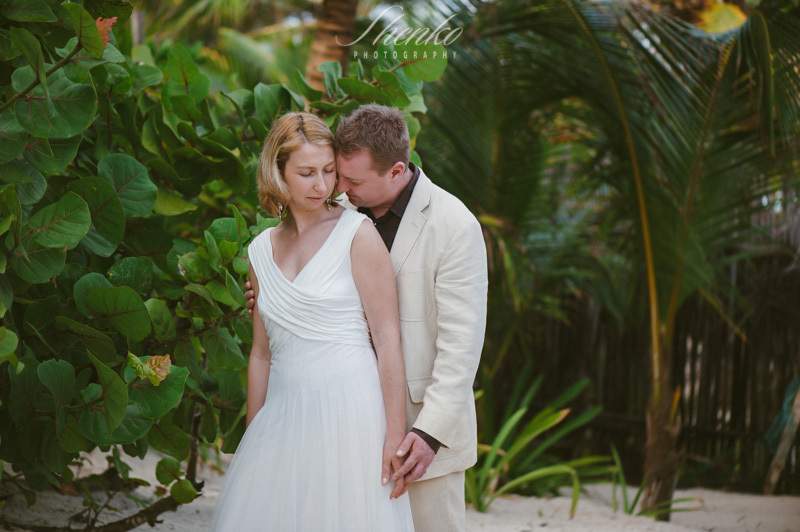 It was such a pleasure to know them and to spend time in their company at Casa Carolina Tulum. 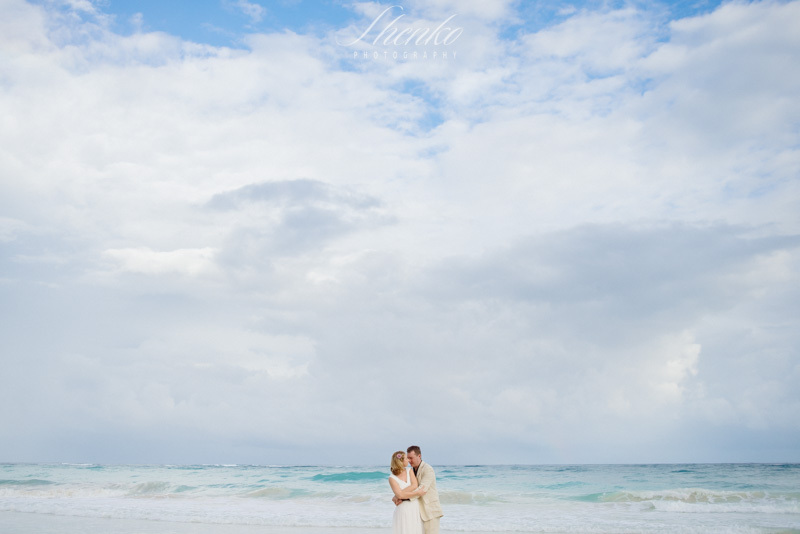 We put some shots here from their pre-wedding photo session at Tulum beach and hope to publish their wedding day soon!